A minimum of 3m deep by 5m wide. We will run to your timetable but feel free to ask us for suggestions. You cannot pick the band's play list but you can say which songs from our repertoire you prefer and give us an indication of whether you wish the party to start gentle or kick off with up beat tunes. We will always pace a performance according to your wishes, as long as we know in advance. A five-minute chat on the phone would normally tell us everything we need to know in order to give you the night you are looking for. Anywhere as long as the price is right. We don't often play at open gigs but we can keep you informed of any opportunity to see us play live. For live updates check out our facebook page here. We will be happy to learn a song of your choice. The video is now dated but we do have plans to create a new video in the near future. Contact Alive Network and ask for our availability and prices. We are happy to play a play list of your choice on an iPod or put your own iPod or laptop through our PA.
We have a 2.5Kw PA with a small lighting rig big enough to illuminate the band and create movement on the ceiling and dance floor. Approximately two hours as standard but more if requested for an extra fee. Anytime between 7pm and 12am as standard but at a different time for an extra fee if requested. We can pencil a date in and let you know if we get offered another gig on that day but we're not guaranteed to be yours until you have signed a contract and paid a deposit. We have played together and known each other for many years. In the event that one member cannot play we employ someone to fill in. This is called 'depping'. All of our deps are highly experienced professional musicians whom we have known and performed with for many years. This scenario would in no way lower the quality of the music for the evening. Yes, but only if agreed in advance. We would avoid encouraging people to get up and have a go spontaneously in order to maintain the professional integrity and quality of the music on the night. The band always look smart, in suits, shirts and ties etc. and extra smart for a jazz/swing set in a very posh venue or when the client required it (i.e. dickey bows/tuxedos etc.). Why should I book Blue Note Mitch & The Red Hot Jacks? If it's an excellent quality dance band of professional musicians with plenty of energy and experience, then we're the band for you. Please see our feedback here for evidence of the many happy clients we have played for. The price varies depending on where you are, how many sets you want and what size band you want. 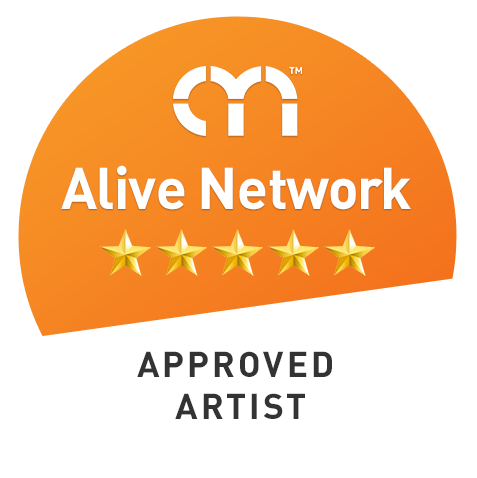 The best thing is to make an enquiry with Alive Network and they will give you an exact price. Yes we have dozens on our previous client testimonials page. Do Blue Note Mitch & The Red Hot Jacks have any specific requirements? Yes, we need to be fed with something warm, having often travelled for several hours, and also a place to get changed in. We have played at a huge variety of venues ranging from very small marquees and bars up to huge hall such as Sheffield City Hall as well as stately homes around the UK. As loud as you want us to be, we have full control over our sound and are willing to work within yours and the venue's boundaries. Two plug sockets. At the absolute maximum we would draw 5Kw of power. Do The Red Hot Jacks offer any additional services? Yes. Extra sets, larger band, late finish, early start. See our What We Do page for all upgrade options!